The Commercial Vehicle Show returns to the NEC in Birmingham from 24-26 April, with a host of new and improved vans and services, says Dan Gilkes. The annual CV Show is the biggest commercial vehicle event in the UK and once again the event takes over three central halls at Birmingham’s NEC this April. Attracting more than 21,000 visitors a year, exhibitors include vehicle manufacturers and converters, telematics and fleet management providers and a host of support businesses. There is a dedicated Cool Zone for those working in refrigerated transport, while the Workshop section provides a shop window for the after-market sector. Following a successful introduction last year, there will also be an Innovation Hub, offering topical seminar sessions throughout the show. Key topics will include autonomous vehicles, truck platooning, alternative fuels and the latest smart logistics. A number of guest speakers from the industry will take part and the seminars are free to attend. With one of the largest stands at the show, Ford always has plenty to attract visitors. This year the new Transit Custom will take centre stage, with an improved interior, upgraded connectivity and additional driver assistance on offer. There will be three new Customs on show, including the latest Sport in Orange Glow launch colour. Visitors will also be able to find out more about the Transit Custom PHEV, which is currently undergoing operator trials with companies in London, including the Metropolitan Police, Heathrow Airport, Clancy Plant and Speedy Hire. Using a 1.0-litre petrol engine and a compact battery pack, the PHEV promises up to 31 miles of zero-emission electric range. 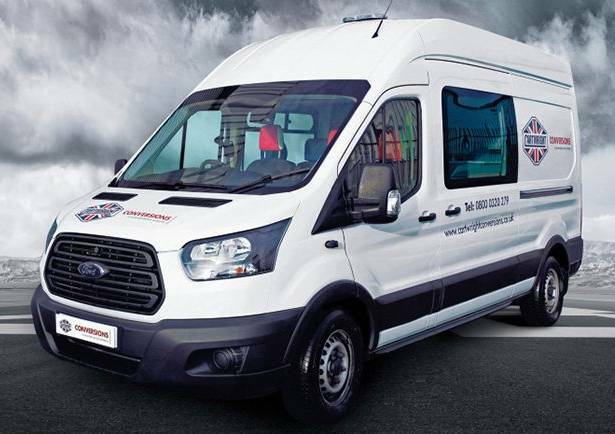 Alongside Custom, visitors to the stand will be able to see the latest Transit Connect, with a refreshed grille and headlamps. There are more changes inside too, with SYNC 3 connectivity and a six-inch touchscreen, while the drivelines on offer will include new 1.5-litre EcoBlue diesels, with the option of an eight-speed automatic transmission. 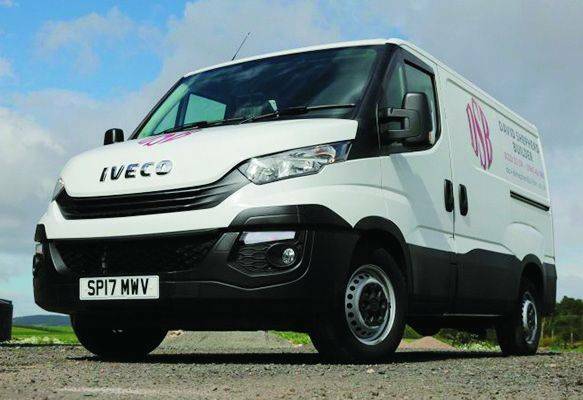 Transit Courier also gets an update, with a redesigned front end and the addition of a six-speed manual gearbox alongside a 100bhp 1.5-litre diesel engine. Lastly expect to see the latest special editions of the Ford Ranger pickup, including the limited run Ranger Black. Fiat Professional will exhibit a new range of Sportivo specification vans, alongside a range of conversions, including a Ducato ambulance and a Ducato Luton. 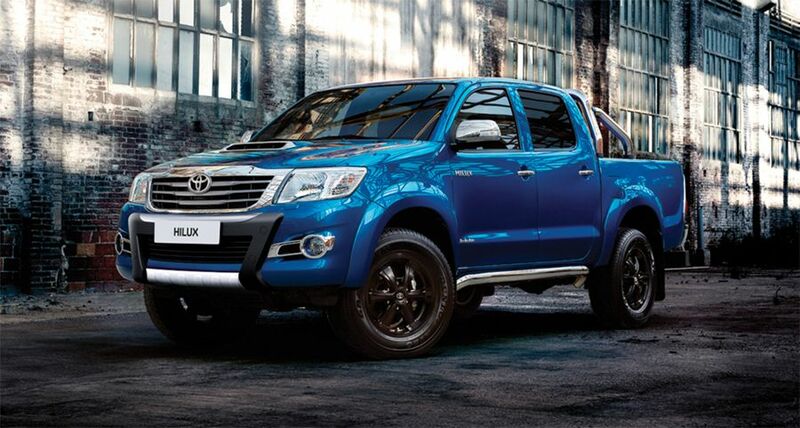 The recently launched Fullback Cross pickup will be on show beside a Fiat Doblo Workup light truck. Iveco dealer Guest Truck will be flying the flag for the Italian manufacturer again this year, with the focus on the award-winning Blue Power Daily range of vans. Iveco now offers Daily with a choice of Euro 6 diesel engines, natural gas power or electric drive, delivering the widest possible choice for customers. Isuzu’s popular D-Max pickup will be present in its many trim levels, including the big-wheeled Arctic Trucks specification. There will be a number of conversions on offer and Isuzu is promising to unveil something new on the first day of the show. Mitsubishi’s L200 remains a strong seller in the UK pickup market and the truck is sure to take centre stage this year. However, the company also offers commercial versions of its Outlander and Shogun all-wheel drive cars, with the Outlander PHEV still one of the only hybrid vans on the market..
With a growing range of vans on offer, LDV is another company with a launch planned for the first day of the show. The company, part of the Chinese SAIC motor business, has both diesel and electric versions of its V80 and EV80 available. UK and Ireland dealer Harris Group has promised smaller vans and a pickup in the future, so a visit to the stand will be worth the time. Despite the car versions being shown at this year’s Geneva auto show in March, it is unlikely that Peugeot and Citroën will have the new Berlingo and Partner on offer this April. Expect the focus instead to remain on the new Expert and Dispatch, with the full range of both models now freely available to UK buyers. There will no doubt be an emphasis on conversions for the heavier Relay and Boxer, while electric versions of the smaller vans will no doubt make an appearance in both L1 and L2 bodies. MAN will be back at the show this year, with a full range of vehicles from the 3.0-tonne TGE through to its TGX flagship tractor. 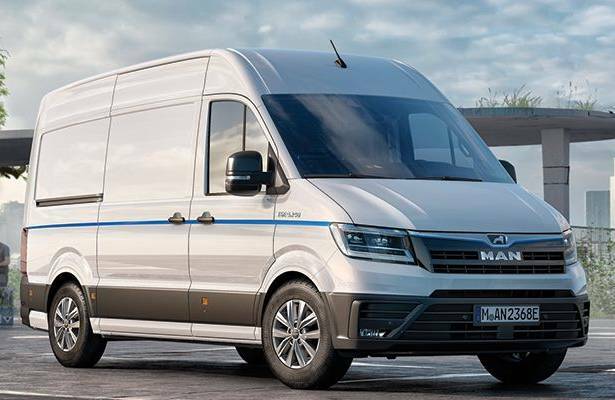 The TGE, which is MAN’s version of the new Volkswagen Crafter, will be the main attraction for van fleets, with front, rear and all-wheel drive models coming to the market this year. 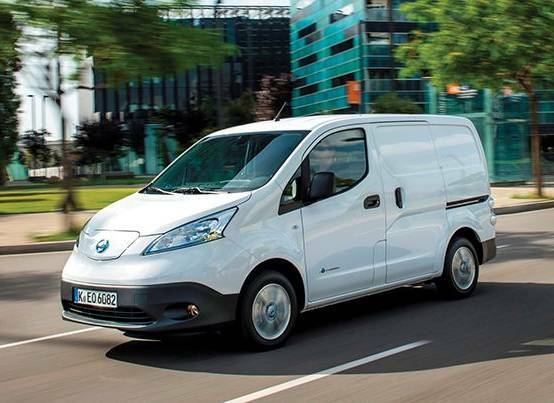 Nissan recently uprated the e-NV200 electric van with improved range and power. The 40kWh e-NV200 will be offered in panel van and combi versions and the firm will also show a ‘workspace concept’ vehicle based on the updated van. A range of NV200, NV300 and NV400 vans will be displayed, along with an NT400 Cabstar light truck, plus the firm’s popular Navara pickup will be shown in 2018 model year specification. 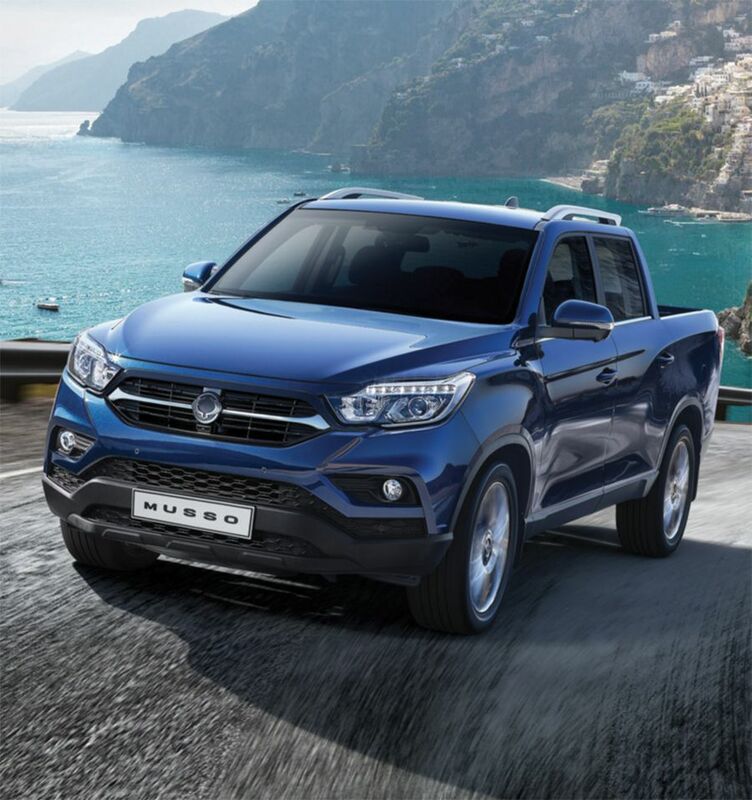 SsangYong will launch its updated Musso pickup this April, available in all-wheel drive double-cab format only. With a one-tonne payload and the ability to tow a 3.5-tonne trailer, the Musso truck is powered by a 2.2-litre diesel engine providing 181bhp and 420Nm of torque. Buyers can choose between a six-speed manual gearbox or a six-speed auto, passing the drive to a part-time 4WD system with high and low ratios. All models come with DAB radio, Bluetooth connectivity and Apple Car Plat/Android Auto, displayed through an eight-inch screen. Electric windows, air conditioning and a power outlet in the pickup bed are also available. All SsangYong models come with a five-year limitless mileage warranty. Renault continues to lead the way in electric vans and this year the Master Z.E. will take centre stage alongside the smaller Kangoo Z.E. 33. The electric Master uses the same batteries as the smaller van, with the drive motor from the Zoe car and boasts a payload in excess of 1-tonne from a gross weight of just 3.1-tonnes. Available in a range of lengths and heights as a panel van and also in two chassis cab lengths for conversion, Master Z.E. will go on sale later in the year. 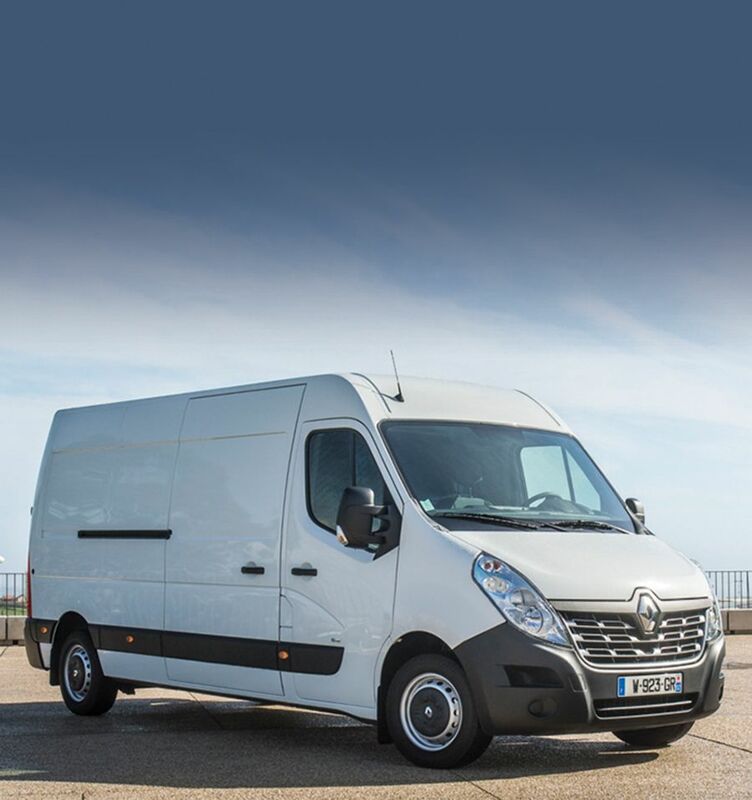 The firm will also launch Renault Tech at the show, with a range of factory conversions including a temperature-controlled Master and a parcel van with walk-through partition. Toyota is celebrating 50 years of the Hilux pickup in 2018 and the truck will dominate the stand, particularly on the first day of the show. However, the company will also have Proace in display and will take the wraps off a Land Cruiser-based commercial vehicle, which will be available in three-door short wheelbase and five-door long wheelbase formats. Expect to see new conversions, based on Proace, on the stand throughout the show too. Carrier Transicold will demonstrate its engineless technology, including the Iceland Twincool and the Vector 1550E. The Iceland Twincool refrigeration unit is powered by hydro-electric power generated by the truck’s power take-off, taking the diesel engine away from the fridge unit and using the vehicle’s own Euro 6 motor. The Vector 1550E is a trailer unit that can also be powered by the tractor’s PTO or through mains power when parked. Cartwright Conversions will show an eight-seat welfare vehicle built on a Ford Transit base van. The welfare unit includes a heater, water boiler, hand wash facilities, a microwave and a 25-litre electric flush toilet. The company will also show a Peugeot Expert equipped with its modular racking system. Paneltex will have three new temperature-controlled bodies on display in the Cool 2018 section of the show. There will be an 11.4m twin axle, dual compartment Urban Trailer, with a self-tracking rear axle. This features a Dearman undermount refrigeration system with a zero-emission nitrogen expansion engine. The company will also show a Transit with a side-loading refrigerated body and a very low access height that eliminates the need for a step. Lastly the firm has a Somers conversion on a VW Crafter chassis cab, with a dual temperature body and Somers’ SuperFreeze modular rear doors. Thermo King will also show zero-emission refrigeration this year, with a range of electric and hybrid drive systems on offer. The Thermo King and Fridoblock stand will have a new SLXi Hybrid trailer unit that was first shown as a concept last year. The company will also demonstrate a range of telematics solutions for refrigerated bodies. SmartWitness will have a range of products to reduce driver distraction in vans and trucks on offer. This includes the new DDC100 camera that uses infrared imaging and AI machine learning to detect mobile phone use at the wheel. It also identifies driver fatigue and tiredness. SmartEye is a system that checks for lane deviation, vehicle distance and nearby pedestrians and cyclists, sending alerts to avoid accidents. Both systems can be set to run with live updates to fleet managers. Vehicle tracking specialist Trakm8 will show a 4G telematics camera called the RH600. Now in full production, the RH600 integrates telematics with live-streaming dash cam technology. It can be equipped with one or two cameras, to monitor the driver as well as the road, delivering a 280° field of view. The company will also show its Trakm8 Prime solution for SMEs. The telematics device can be self-installed, so there are no fitting fees, while vehicle downtime is kept to a minimum. BT Fleet will show its latest developments in app technology, accident management, data insight, along with updates in service, maintenance and repair. The company will have members of its Fleet Solutions team on hand to discuss fleet requirements and to introduce its latest products and services. Vehicle Weighing Solutions (VWS) will exhibit its Vehicle Overload Protection System (VOPS2) that provides drivers with front and rear net weights, gross vehicle weight and individual axle weights. The system, which doesn’t rely on springs or transducers, can be fitted to most commercial vehicles, from 3.5-tonnes upwards, whether using steel, air or spring suspension.